Why the rebuilding in Japan means you should build your new porch or sunroom right now! The devastating Tsunami in Japan seems so fresh in our minds but also so long ago. When we are hit with a major devastation, the feelings and emotions seem so fresh in our minds yet we know intellectually that these events happened much longer ago. I watched an episode of 60 Minutes a week ago that surprised me. Japan is not in the rebuilding stage but yet rather still in the cleanup stage. What this means is that soon raw building materials are going to be in tremendously high demand on the International market. What this means for us domestically is prices are getting ready to increase. Thirty years ago, prices on raw materials such as wood were influenced by domestic demand. Now, the prices of raw materials in the States are widely determined by world demand. Many of us are staying in our homes because of the challenge in selling our homes right now at any sort of attractive price. We’re also vacationing less because we want our dollars to last longer than the span of a vacation. We want to invest those dollars into creating a relaxing or seemingly luxurious space at our own homes. 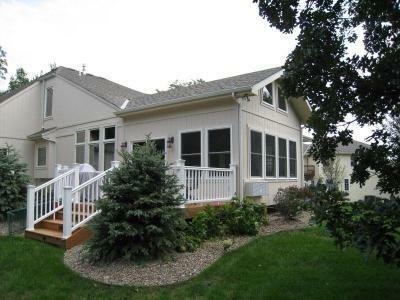 What better way to do this than to build a porch or sunroom to both expand our home and enjoy a greater view of our yards and a better connection with the outdoors. Visibility to our yards and to more sun has a relaxing effect and our porches or sunrooms can give us the feeling of vacationing at home. Prices of raw materials are getting ready to go up. I always tell my prospective customers who are thinking about building in the Fall or Winter that it might be one of the best times to build because of impending first-of-the-year price increases. The material manufacturers not only commonly increase prices at the first of a new year but some get a jump on the annual price increase by raising prices at the end of the year. Where do the rebuilding efforts in Japan come into this equation? Many of us suspect that the effects of the increased demand on raw materials from Japan’s rebuilding have already been felt. Instead, Japan is nearing the end of their cleanup and is forecasted to have a surge in demand at the beginning of 2012 at which time raw material prices may likely increase. 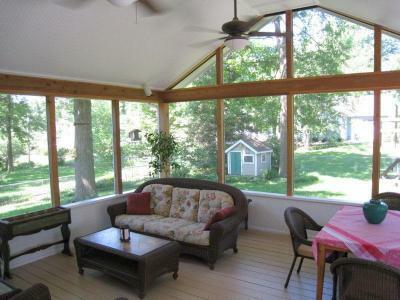 Now is the best time to build your new porch, sunroom or room addition. 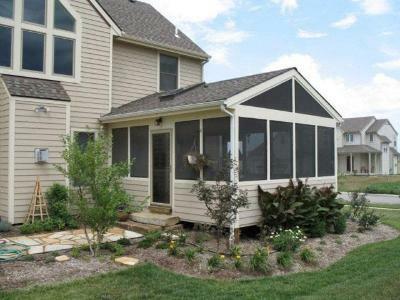 In addition to material prices, there are a few other reasons why now is the best time to build your new porch or sunroom. When you are building a backyard structure, there can be literally hundreds of trips from your backyard to front yard. If we are demolishing your old deck or structure or replacing parts of it, the materials need to be carried out of your yard by a person. In addition, the material is carried through your yard with many trips from front to back. The best time for lots of traffic across your yard is when the grass and plants are dormant and the ground is harder. It’s easier for the lawn to recover. We all have this scene in our minds. Carpenters sitting on a hot roof or in a chair drinking a Gatorade and wiping sweat of their face This is not for being lazy. The heat of summer not only necessitates more hydration breaks but it also slows the carpenters down. We all know the best people are busy. When we’ve heard about a great new doctor or landscaper, we expect to be put on a waiting list and we’re ok with that. We expect a waiting list from the best. In the Spring, any reputable contractor is going to have a substantial waiting list. If you call in April, it may be highly likely that your project cannot be started until early summer. As a matter of fact, if you call a contractor in the Spring and they can start right away – buyer beware. In the Fall and Winter, reputable contractors will still likely have a waiting list but it will be substantially shorter. Now comes the frustrating part of building in the Spring. You’ve signed up to have your project built and you anxiously wait to hear when the contractor can start only to find that’s the week you will be on vacation or the couple of weeks when you are going to have loads of people in your back yard and cannot have builders around during that time. Similarly to the point above, shorter waiting lists mean a better ability to control having the building done at a time makes the most sense for you. When you call for a free consultation, we can help you determine what makes the best sense for you. The disruption on your lives and back yard will be much less. And, you’re likely to pay significantly less. Call us now for your free consultation at (913) 851 – 3325 or email us at kansascity@archadeck.net. To see more examples of our work, check out or photo galleries. This entry was posted in Best time to build, Choosing a contractor, Covered porch, Four-season rooms, Open porch, porches, Screen Porches, Screened porch, Sunrooms and tagged Archadeck KC, Archadeck of Kansas City, Best time for building in Kansas City MO, custom screen porches, Japan rebuilding affect on US wood prices, Kanas City outdoor structures, Kansas City porch builder, Kansas City screened porches, Kansas city sunroom builder, porches, Reasons to build your outdoor structure in the fall and winter, Room additions, screen porch Kansas City, screened porches, Sunrooms, Sunrooms Kansas City, The best time to build your Kansas City outdoor structure, three season rooms on October 11, 2011 by archadeckkansascity.